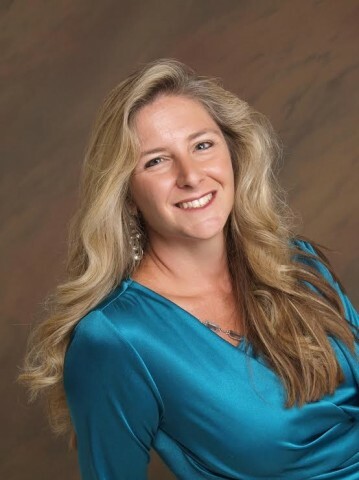 Author Chat with Lucienne Diver, Plus Giveaway! LUCIENNE DIVER: The idea for this book came to me during a school talk of all things. I was doing a presentation about plotting and I wanted an example of a storyline that would show strong conflict building toward an explosive climax. It all started off with the diary of a girl who had died and what it might reveal. The only problem was that it was missing and secrets from it kept turning up, raising tensions to dangerous, possibly murderous levels. It was a good beginning, but I needed to know more. Why had the girl died? What were the secrets? The idea wouldn't leave me alone. The novel itself started when I realized I had a main character who needed these same answers. And that the search put her right in the midst of the danger I envisioned. LUCIENNE DIVER: I always want to answer that I love all my characters, which is true, but in this case I think my favorite might be a secondary character named Felicia. 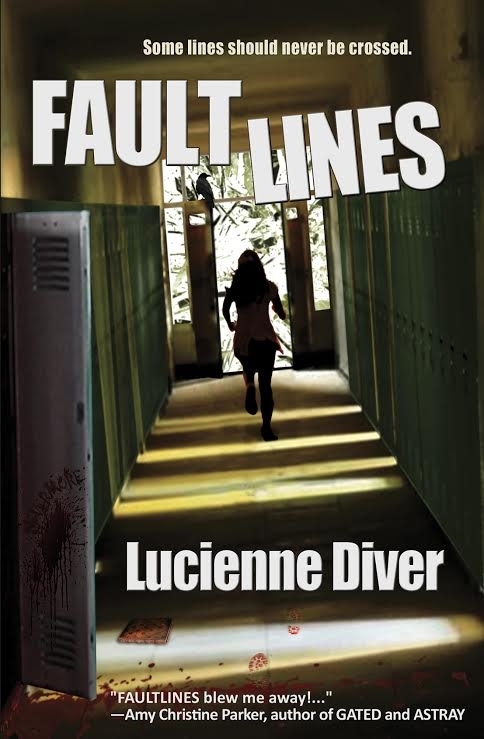 Faultlines is about what happens when a girl, Lisa, commits suicide and someone starts taking revenge against those they think drove her to it. My heroine Vanessa, as Lisa's former best friend, becomes everyone's main suspect, and so when people retaliate against the revenge, she's the target. So many people turn against Vanessa, convicting her even in the absence of evidence. But even in the face of very strong opposition, Felicia stands up for Vanessa. She's African-American. She knows what it's like to be accused for no reason, looked on with suspicion, followed in stores just because of the color of her skin. She's not going to make someone else feel the way she's been made to feel. Felicia is my hero. So many people won't stand up for what's right for fear of taking the heat onto themselves. They'll stay silent. Felicia is stronger than that. LUCIENNE DIVER: The idea for the novel came first, but the title very quickly followed. Faultlines means so many things in this book. It deals with the fault many people find with themselves over Lisa's suicide, thinking they should have seen the signs, they should have been able to save her. Or the fault they see in others—you did this, you are the reason why she's dead. But it also speaks to actual faultlines, breaking points. Lisa had hers. The person taking revenge in her name, who goes by the handle Poetic Justice, clearly has a breaking point as well, as the vengeance escalates to extreme and dangerous levels. Vanessa has about all she can handle dealing with her best friend's death, the feelings she has for Lisa's almost-boyfriend, the accusations and attacks against her. The question is how she will handle it. It's clear throughout the book that Lisa was the adventurous one, Vanessa was the "good" one, the quiet one, who never rocked the boat. But now the boat is being tossed about on a storm of fall-out from Lisa's death, and she has to learn to fight for her survival. LUCIENNE DIVER: I love the skewed perspective of the cover, because it ties in so well with the book itself. Vanessa's whole world has been shaken, and it hasn't settled back into any semblance of normalcy. I love the blood spilling out from the open locker, which ties directly into the first scene of Poetic Justice's revenge. And the raven imagery on the door my heroine is running toward. YABC: What new release book are you looking most forward to in 2016? LUCIENNE DIVER: I'm really looking forward to reading Caleb Roehrig's Last Seen Leaving. I have my copy! Trying to save it to read on vacation in December but it's calling to me! LUCIENNE DIVER: I have a short story coming out in December in an anthology of stories based in Faith Hunter's Rogue Mageseries, which I'm really excited about. I'm also thrilled that next year Lore Seekers, a new division of Bella Rosa Books (publisher of Faultlines), will be reprinting my first four Vamped novels and bringing out the fifth, Fangdemonium. LUCIENNE DIVER: The book opens at Lisa's funeral with my heroine mourning the death of her best friend. It's such a tough place to start, but it's the only place that seemed right. I must have rewritten it half a hundred times, and I'm still not satisfied with it. I don't think I ever will be. It's not something that can be clean or pretty or perfect. LUCIENNE DIVER: Always writing over revising! In drafting I give myself permission not to be perfect. My motto is "Get it down, then get it right." So it's a bit stream of consciousness. I think it, I write it. (Which makes it sound a lot easier than it is, even getting out of my own way.) But revisions are when I look back at the scenes where I might have taken it easy, where I didn't push myself enough or agonize over getting it just right, and then I force yourself to do just that. I read and revise and read and revise as many times as it takes to do justice to my characters and their stories. LUCIENNE DIVER: Oh my goodness, I wish I had a superpower! It would be to take away everyone's pain. The pain that my various characters suffer through in this novel is so piercing. It echoes pain I know real people are feeling every day...that I've felt myself. I hope people get something out of reading Faultlines, whether it's the sense that they're not alone or the understanding of someone else's side of a story. I also want anyone who sees him or herself in Faultlines to know where to go for help, which is why my webmistress is right now updating my website to include links to suicide and bullying helplines, many of which are below. Thank you so much for giving me the chance to put this out there! Lucienne Diver is the author of the Vamped young adult series—think Clueless meets Buffy the Vampire Slayer—and the Latter-Day Olympians urban fantasy series from Samhain, which Long and Short Reviews calls “a clever mix of Janet Evanovich and Rick Riordan”. 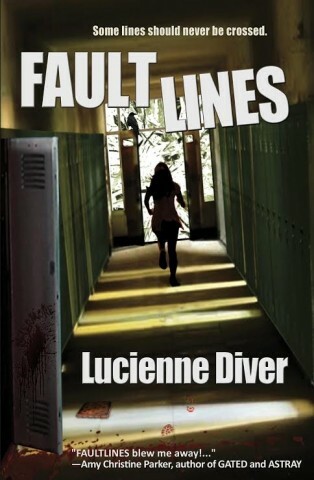 Her first young adult suspense novel, FAULTLINES, is a November 2016 release from Bella Rosa Books. Two winner will receive a copy of Faultlines as either an e-book or signed paperback, whichever the winner prefers (US only). The cover and synopsis are so intelligently done! The cover makes you wonder what happens in the book. It gives you a good look as to what is to come. Sounds like a great read! Cover is okay. Looks like a great suspenseful read. I also like the cover, it WANTS me to pick this up and find out what`s going on! I liked learning how she got the idea for the book! The cover doesn't entice me, but the summary is interesting. I like the cover and this book sounds like an exciting one to read. This book sounds really suspenseful and the cover really adds to the suspenseful feeling.